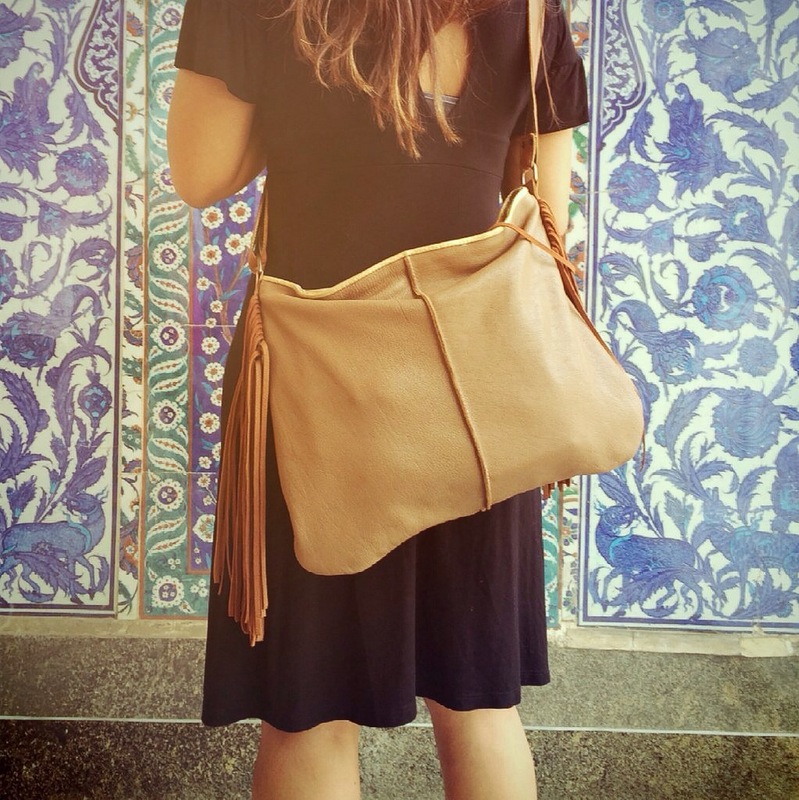 A crossbody/shoulder bag with adjustable strap, made of taupe leather. 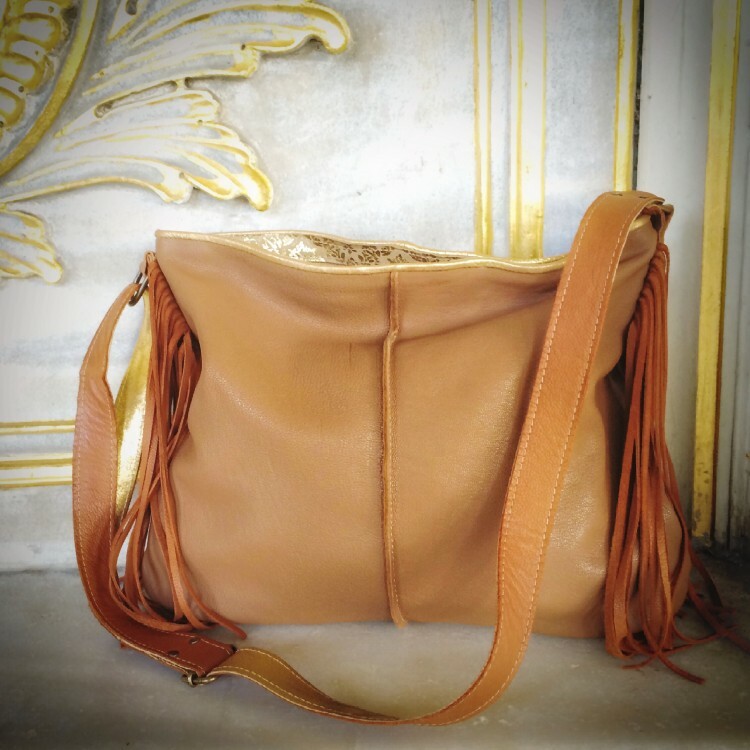 Combined with flowery gold pattern leather and cognac leather fringes. Lining with flowery cotton fabric. Inner pocket with zipper, mobile pocket and an iPad section with magnetic closure.